In their darkest hours after disaster, families desperately need light. You can help. Light can be a joyful part of celebrations during the holiday season. But for families left without anything after disaster or conflict, light is more than a decoration. Light is a lifesaver. Your $30 donation can give families the light they need to see at night and protect themselves from danger. *Please note that each gift is symbolic. Your gift is a donation made to support ShelterBox USA’s mission of providing humanitarian relief in the form of equipment and materials that bring shelter, warmth and dignity to disaster survivors worldwide. You will not receive a shipment for your order. Night can be particularly dangerous for women and girls living in camps that lack lighting in communal areas. They risk attack walking to latrines and washing areas. 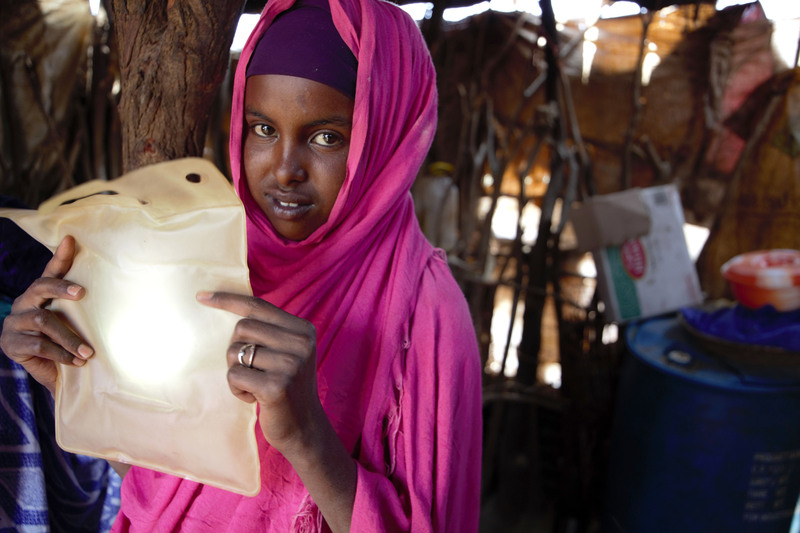 Solar lighting can help safeguard women and girls from assault. With one touch, people can see exactly who or what is around them. They can spot threats, take action, and raise the alarm. 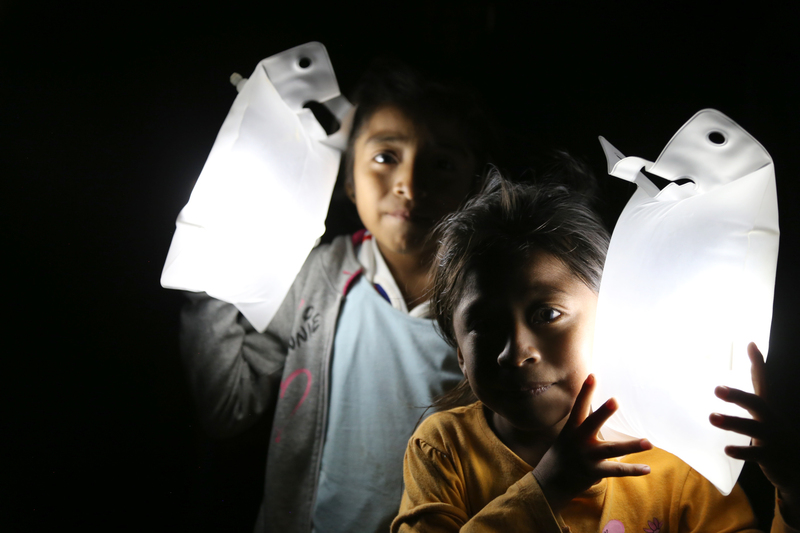 The LuminAID solar lanterns we provide to people in need are easy to carry, waterproof, and inflate in just seconds. 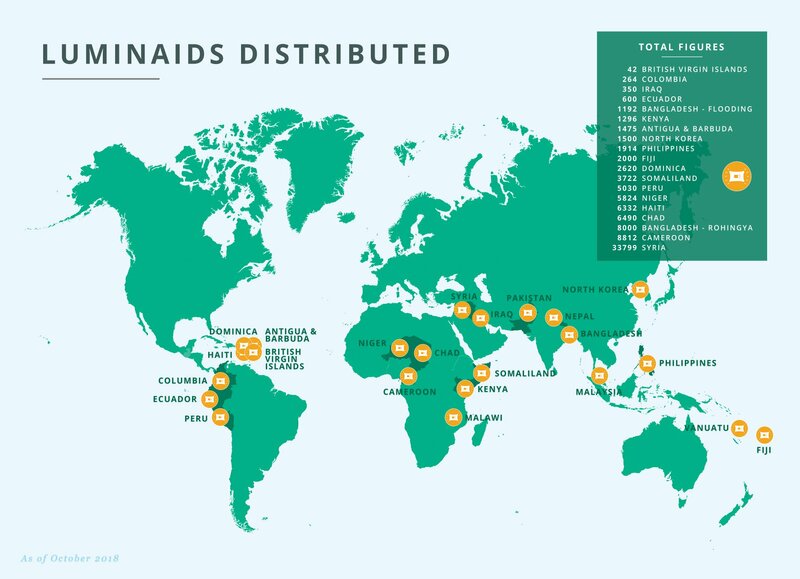 Because of support from people like you, we have distributed thousands of solar lights to families all across the world as we know that a little light can go a long way in creating a safe and secure environment.